Click here to meet our ACE Artists! 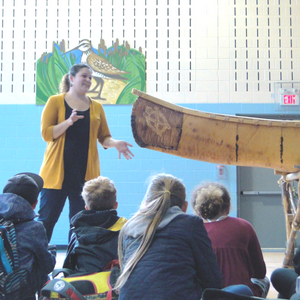 In 2016, the English Language Arts Network (ELAN) received funding from the Department of Canadian Heritage to explore how ELAN could work strategically with Arts, Community and Education partners to increase cross-sector connection and collaboration long-term. A recap of the 2016-2018 ACE Initiative learning experience with highlights of the five test projects is available here. An ELAN ACE (Arts, Community, Education) Project at St. Lambert Elementary School. Laura Teasdale’s first ACE project was in the Eastern Townships in 2017 and her second will begin in March of 2019 in the Gaspé region (New Carlisle and New Richmond). Click here to read more. 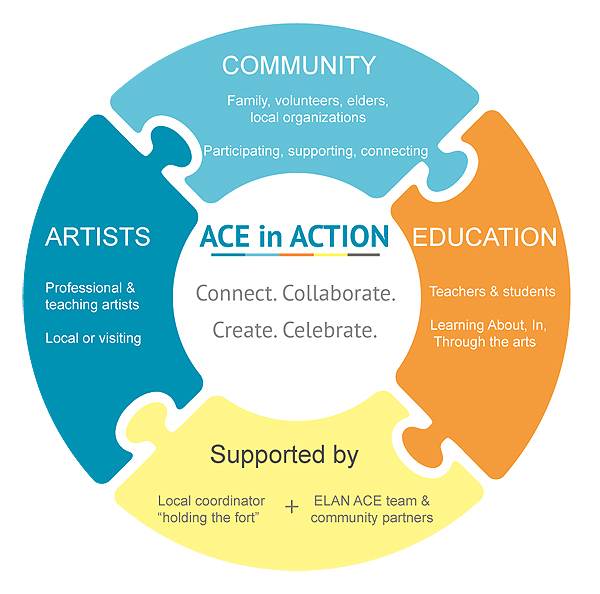 By supporting Artists, Community organizers, and Educators to connect and develop projects with and for members of their community, the ACE approach creates innovative opportunities for lifelong learning, developing skills and connections that contribute to personal and community vitality for everyone involved. Artists are at the heart of this initiative. Artists enliven our communities. The experiences they facilitate can create rich exchanges, expand awareness and learning, and contribute to well-being individually and collectively. Quebec’s English-speaking artists are diverse – they include professionals in craft, dance, folk, literary, media, music, storytelling, theatre and visual art disciplines. Many Quebec artists have developed the skills in facilitation needed to engage students and adults in opportunities to learn not only about their artistic practice, but also to learn in and through the arts. Creating art FOR community members to develop awareness of the arts and potentially of themes related to community and/or global needs/issues by developing art installations, performances, vernissages, etc. Educators make learning more engaging by bringing the curriculum to life in dynamic and meaningful ways when they bring artists into their schools and classrooms. When artists work with students, educators have opportunities to see their students differently, noticing strengths that are highlighted as the creative process enables students to be innovative, imaginative, even courageous. Having an artist in the classroom has been shown to increase student motivation and improve individual and class behavior, positively impacting relationships between teachers and students and amongst students. By collaborating with artists to design and facilitate learning experiences through the arts, teachers provide students with opportunities to develop their competencies and connect with subject matter in ways that can be evaluated. 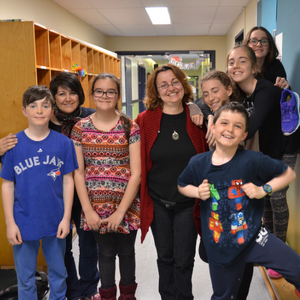 Thanks to funding from the Government of Québec, ELAN is able to offer funding and support to expand the ACE Initiative into more schools and communities in 2018-2020. If you would like to get involved in ACE development in your community or as an artist working in communities across the province, please review our Invitation for Expressions of Interest and contact us at ace-initiative@quebec-elan.org. Are you interested in developing an ACE project? Connect – Project initiators reach out to people in their schools and communities to talk about how they see ACE development – who is interested in making things happen? What could we create together? What arts disciplines do we think our students could most benefit from experiencing? How could integrating the arts bring education to life? What community connections could be made? Most important in this stage is creating momentum, building a team and supporters, and developing a vision. Collaborate – Developing projects collaboratively requires an investment of time and energy, especially between the teacher(s), artist(s), and coordinator. Principals support at this stage to ensure teachers have the planning time needed is crucial. The teachers and artists develop a plan to include students in the project design process. Effort is made to establish great communication and a team approach. The schedule, logistics, and a strategy for creative documenting are put into place. Create – Let the Art begin! Communication is frequent, students are contributing and taking ownership, relationships are being built, and the project evolves in a dynamic and emergent fashion. Having done the groundwork for co-learning in the Connect & Collaborate phases, the team of artists, teachers, coordinator, students, and community members feel a sense of partnership, growing enthusiasm and investment. Focus on process is as important as the product. Celebrate! – Showtime! Rehearsals, invitations, and finishing touches build up to a celebrational sharing of the ACE project with community members, other school members, and chosen audiences. 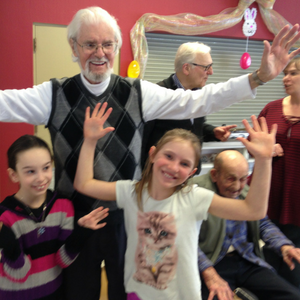 The ACE project co-learners are honoured and recognized for their art work and efforts. Lessons learned are debriefed and the ACE story is documented and shared. Please contact us if you have any specific questions regarding ACE development and process.